Have You Ever Been Led by Passion? What is your “fuel” in life? More specifically, what “thing” in your life do you think about 24/7 (besides chicks guys) and want to constantly find ways to get better at doing? I’m not talking about a casual interest in a particular idea, sport, hobby or profession. Most of us have something that occupies our thoughts during our waking moments and often times even when we’re in dreamland. This doesn’t have to be your career, although if you’re lucky, you’ve found a way to make it your career. Being passionate about what you do in life can in many ways determine the quality of your life. It can bring about the meaning of your life. Christopher Columbus, Thomas Edison, Benjamin Franklin, Susan B. Anthony, Mother Teresa, Mahatma Gandhi, Henry Ford, Bruce Lee, Muhammad Ali and Michael Jordan to name a few. Did they have a “casual” interest in what they did and just get lucky or did they spend each day perfecting their skills and dedicating all of their time and energy towards that ONE thing that meant everything to them? I shouldn’t have to answer that. I’m fairly certain that anyone on that level of superior talent worked their tail off to get there. Luck was never an expectation. Hard work was the process. But besides hard work, these amazing men and women all had something else in common. They were tirelessly and insanely PASSIONATE about what they did in life. Anything that distracted them or kept them from their mission was immediately removed and discarded. Nothing would hold them back from accomplishing their desires. They also strived to surround themselves with other influential people that they could learn from and help them further their greatness allowing them to maintain and exceed a level of excellence foreign to most ordinary folk. But I will tell you what I am. I’m out of control ridiculously passionate about what I do for a living. I absolutely love what I do for work and wake up each day excited about how I can get better and improve at what gives me a true sense of accomplishment and satisfaction in life. Aside from our family and friends that give us immense joy, there is something else we all need to satisfy our craving to feel valued. We NEED to be connected to something bigger than ourselves. Over the years I’ve come across school teachers, coaches, on-line entrepreneurs, small business owners and doctors who possessed the same traits as the legendary figures I mentioned previously. However, if I listed their names here, you wouldn’t recognize a single one. Does that devalue them or make their passion any less extraordinary? No way. Their contributions to this world have been as meaningful to their friends, family and community as any 20th century hero. You see, we are all capable of pursuing and finding passion in our lives. We are all capable of finding something that breaths fire into our soul and makes us want to leap from our beds with excitement. This is REAL. This isn’t fantasyland talk. I speak from experience. Allowing yourself to be enveloped by passion for a hobby, skill, profession, trade or cause is one of the most human things in the world. No matter the day, I can always lean against my passion as a source of strength. In many ways, uncovering your passion leads to the discovery of your meaning in life and your contribution to the world. Now your passion may not change the world and your name may not be found in historical books, on the $100 bill or in lights at NBA arenas but the fulfillment and gratification you receive from that “one thing” will change your life and those people in your life. Realizing what your passion is may be one of the most remarkable and rewarding experiences you could ever have. Don’t disregard the things that give you ultimate joy. Embrace them and develop them. Examine your life today. Determine what just interests you and what ‘FUELS’ you. Casual interests are fine but not fulfilling. Decide today to let your passion consume you and watch your life transform. I guarantee if you find your true passion and devote yourself to it, the meaning of your life will seem to find you when you least expect it. Can You Build Muscle & Strength With No Equipment? Head Strength Coach Chris here and I’m excited to have Mr. Forest Vance (former Pro Football Player) here w/ me today to answer some questions about his Body Weight Strong 2.0 system. With the kind of background that Forest has in terms of performance and strength, I’m sure all of us are curious about what makes his NEW system different from the burpees, push-ups and squats we’ve done before….and can Body Weight Strong 2.0 really add pounds of muscle to our bodies? So enough w/ the chatter, let’s get right down to it….. Question #1: There are several body weight programs in the fitness industry today and a majority of them focus on calorie burning and fat loss. Your program tackles (you like that) STRENGTH…is that really possible w/ body weight only exercises? Forest Vance: Yes most definitely gaining strength is possible with bodyweight only exercises! You have to take a little bit different approach though, than you would if you were using bodyweight training for fat loss and conditioning etc.A couple of things to start with would be using more advanced exercises – and this of course depends on the individual and their level of strength fitness etc. And also you have to work in lower rep ranges.So if you can do, say, 50 regular push-ups, is going to be fine for endurance and conditioning, but it won’t work for building strength.We would need you to do more challenging exercises for you, and that would be maybe something like a foot elevated push-up, or a one armed push-up. These are the type of progressions we cover in Body Weight Strong 2.0. And this way, we can make the exercise more challenging, get it to where you are challenging yourself and reaching failure in a much lower rep range. Question #2: Your program isn’t purely body weight….meaning it does include some suspension training, kettlebell etc….What can someone do if they’re interested in the program but they don’t have access to that kind of equipment? Forest Vance: Well I designed the program using bodyweight as the primary means of resistance … Probably the major piece of equipment you would need to really get the most out of it would be a pull-up bar. Question #3: Most times a workout w/ body weight is higher rep and you work towards failure and/or hypertrophy. That’s not necessarily the case w/ your program based on what I’ve seen. Can you explain your approach more in depth? Forest Vance: Yes for sure, if you’re training for strength you’re going to take a different approach than if you’re training for conditioning or fat loss or hypertrophy. 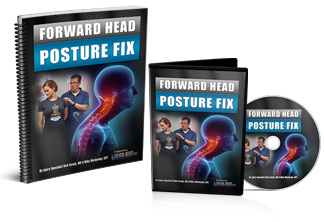 This way you can train your nervous system and get stronger and make consistent progress and practice it more frequently so you make progress faster. Question #4: Is a program like this going to ‘take away’ or STEAL strength from traditional weight lifting that most guys still want to do in the gym? Forest Vance: No not at all … I would say it’s a great compliment. I personally cycle through and do heavy training with kettlebells and barbells probably 50% of the time, and then I come back to work on my bodyweight training stuff the rest of the time.I went for years of doing just heavy type training, and I’m a big guy so I’m definitely not built for this crazy calisthenic type stuff people are doing these days … so if I can do it, anybody can! Question #5: Will Body Weight Strong help improve range of motion, flexibility and mobility? Can we expect to feel “better” throughout our body especially when it comes to soreness and stiffness in the joints? Forest Vance: Absolutely bodyweight strong will help improve all of these things. When you train with your own bodyweight you develop such superior body control, body awareness, ability to contract muscles that you never even thought you had! Then when you come back to doing your more traditional weight training, you get a lot of this transfer – a good example is once you learn to develop full body tension when you having a do something like a one armed push-up or a pistol squat, you can then use these techniques and body awareness etc. to apply to your more traditional weight training stuff you’re doing before. Question #6: If I’m a beginner level lifter w/ less than a year of lifting experience, is this program too challenging, too advanced for me? 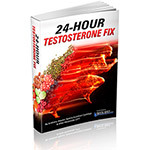 Forest Vance: I really tried to put this program together so that anyone of any fitness level could do it and benefit from it. We rely heavily on the progressions – so for example if I’m just starting off doing a split squat – which is like a lunge variation – might be pretty challenging if I’m doing it slow with the control tempo and feeling the muscle work etc. Maybe doing a inverted row where I had my feet on the ground I’m doing a pull-up type of motion but I’m lifting a lot less percentage of my body weight, is also challenging enough for me if I’m doing it perfectly with good form etc. to get close to failure. If this is you this would work great to get you stronger and get you making progress. Question #7: Explosiveness is HUGE when it comes to getting stronger and gaining muscle mass. 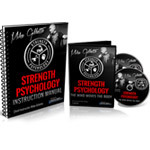 Will this kind of training help deliver more explosive force to my lifting? Forest Vance: For sure. Another thing that we can relate to, we come back to the body awareness, is that for explosiveness and running and jumping and sprinting etc., the ability accelerate your body fast is just as important as the ability to decelerate your body fast. For maximum efficiency of movement but also just being safe. And that’s a big thing that you get out of this program. We teach you how to move properly first and formost. 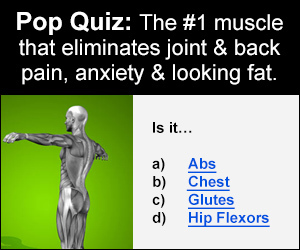 Question #8: For the older dudes (hahaha…I’m almost 40:) in the 40-60 age range, is this type of training too hard on our joints? In other words, do the risks outweigh the benefits for more mature guys? Forest Vance: I would say that this type of training is actually the best type of training that “older guys” should be doing. I can tell you that I feel way better then back in the day when I used to lift heavy and do back squats and deadlifts and military presses and bench presses on a daily basis. Now I am cycling through and still including some of the stuff, but also including a lot of the bodyweight stuff, and it has decreased my pain increased my range of motion baby much more flexible and supple and everything other things you can imagine. Question #9: Does this program really apply to higher level athletes? Is someone in the 18-25 age range really going to benefit from training like this when barbells, dumbbells, prowlers and 40 yard dashes seem to be more important? Forest Vance: You know honestly it does truly depend on a person’s goals and what type of sport involved in. For people who are really trying to get gigantic and huge and swole, I would recommend including barbell work at some stage in their training.That being said, like we already mentioned, doing the bodyweight stuff is also super important to learn how to do movements properly – like for example you would want to make sure that you can do a perfect bodyweight squat and a perfect push-up before you squat and bench. We train some kids – and when I say that I mean high school kids – at my gym, and what we see a lot of times is that they are doing things like back squat and bench presses when they can’t even do a bodyweight squat or lung or even do a handstand hold against the wall … and this is such a mistake. We back them up and have them perfect the body weight stuff and typically see their lifts go through the roof. Question #10: Share with us what you feel are the TOP 3 most valuable elements of your Body Weight Strong 2.0 system? 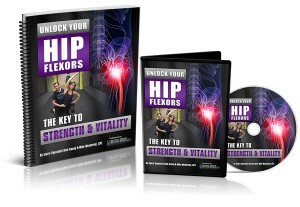 Why are these 3 things so crucial to the success of this 12 week program and gaining real strength? Forest Vance: Number one is the ability to get a fantastic strength workout almost anywhere with very minimal equipment. Once you learn how to use your body properly and do some these advanced bodyweight movements, you can really get a strength training workout at home in your garage on the hotel room wherever – which for most people probably wasn’t possible before. I know for me personally, before I learn these techniques I’d have to go to the gym to get a great workout and I don’t anymore. Number two is that if people like heavy training and they like training for strength and muscle, this is such a great break for their body and out and it will make them feel better and refresh and also it’ll improve their left when I do come back to doing the regular training. 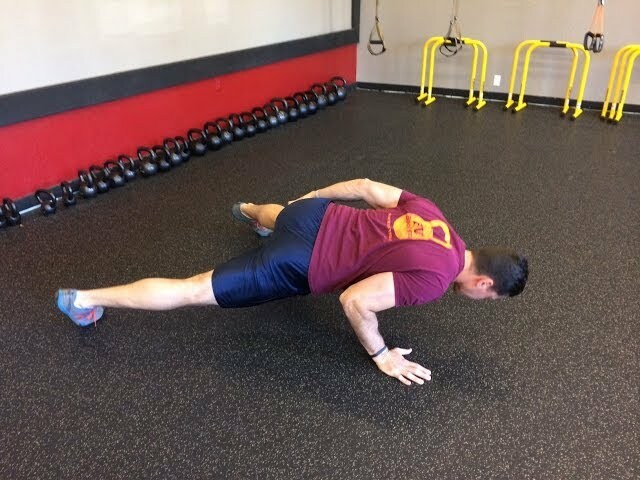 Number three is it makes you such a more balanced athlete if you have control and ability to do all these basic bodyweight movements like full below parallel squats, perfect push-ups, all different types of one variations, handstand hold against the wall, etc. this is the type of training that once you can do this and ALSO be strong in the more traditional lifts … it makes you a true beast at the end of the day! Amazing!!! Thank you so much Forest for your insights, passion and overall knowledge. Without question, this approach to strength training will yield phenomenal results and benefit a ton of guys (& gals) out there looking to drive their performance to a NEW level. Many Thanks and Stay Strong my Friend! The Health and Fitness community really benefits during this special time of year. It is this particular 2 month stretch where normally healthy people end up making very unhealthy decisions. And you know what….good for them! I’m the first one at the dinner table to indulge in mashed potatoes, stuffing, gravy, corn bread and of course turkey (and in some cases ham too). I work my tail off all year long as do many health conscious people across our great country. This is the time of year for reflection and celebration. A time to give more and be kinder to those around us. Being thankful and extra thoughtful for a few months seems to come naturally to some during the months of November and December and FOOD is often the catalyst! Just think about, co-workers and patrons bringing delicious treats into the work place for you. Desserts and high calorie food present in almost any place of business and certainly sitting on the kitchen counter at home. Leftovers for days and weeks. It’s impossible to avoid the stuff. Okay, be smart about this and have a game plan. Don’t just throw caution to the wind. Like any good sports team, you need to do some homework and have a plan of attack. We’ve all heard this one before and guess what…it works! After you have ONE plate of food, STOP and give yourself 10 minutes before loading up the second plate. I promise you, that second plate will be smaller than had you immediately restocked after the initial consumption. This one is a no brainer and easily forgotten by many. A majority of the country is dehydrated on a regular basis. Instead of drinking water and recognizing our thirst indicators, we very quickly jump to food which satisfies both hunger and thirst. If you fill up on a large glass of water every hour or so and certainly just before a meal…you will do a much better job satiating the body. That translates to LESS superfluous calories at dinner time leaving you feeling more comfortable and less lethargic. Exercise is critical in the effort to maintain a muscular build and keep the body revved up all day long. This can be done in less time than you might think. The 5-10 minute workout finisher can be extremely useful during a time of year when family, friends and celebration take center stage. Making time for working out is very hard and for some of us, nearly impossible. Enter the 10 minute (or less) workout. By doing a series of movements like push-ups, body weight squats, lunge patterns and planks, it is possible to burn off those extra calories AND hold on to that well-earned muscle you’ve been piling on all year long! When it comes to Thanksgiving and Christmas time, I’m ALL IN. I want to eat and drink with my close friends and relatives. I don’t want to miss out on the fun and enjoyment of home-cooked meals and hand-made desserts. By plugging in the 3 BEST muscle saving and waist reducing tips, I can still look good on January 1st and have memories that will last for years to come. 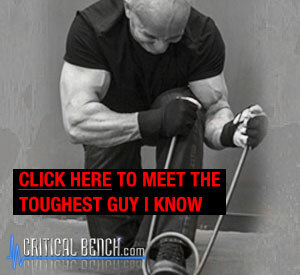 CRITICAL BENCH: How did you get involved in the fitness industry? 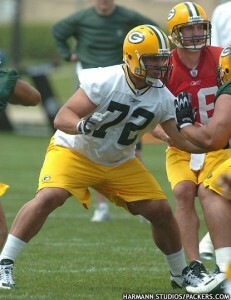 I have been an athlete my entire life and at the age of 16 was looking for a part time job. I went to my local health club and got a job as an aerobics instructor and the rest is history. I instantly fell in love. CRITICAL BENCH: How did you get involved with The WBFF and how do you enjoy being a part of the WBFF experience? In 2011 I was gearing up to compete with Ms. Fitness USA, when the owners decided to retire… I had worked really hard all off season to bring a new package to the stage and felt really let down. I was telling Cathy Savage that I was planning on retiring and she told me about The WBFF. All I had to hear was More Theatrical and More Glamorous and I was IN!!!!! I have a background in musical theater so when I heard that I knew it was going to be a great fit for me and it is…. CRITICAL BENCH: Who has been influential in your career? I think of the fitness industry as 2 fold…. we have the traditional fitness industry which is made up of equipment manufacturers, education companies and health clubs…. 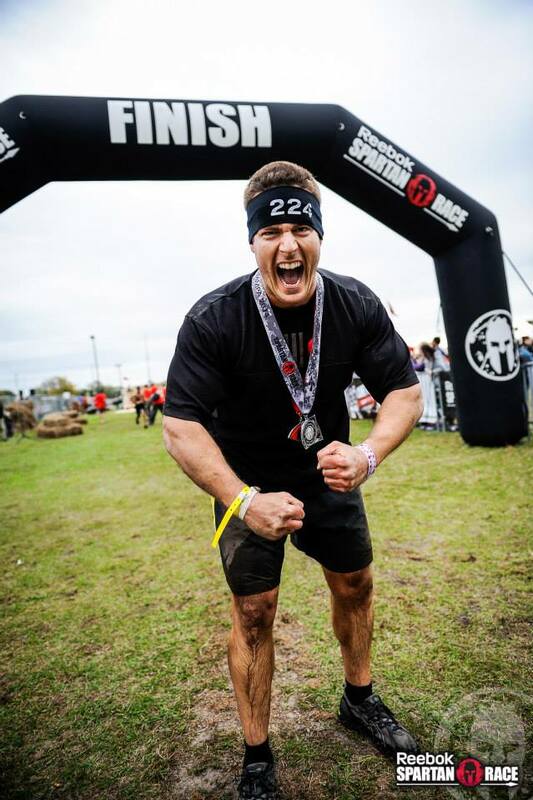 and we have the competitive fitness industry made up of competitive organizations, trainers and coaches…. I have had a huge career in both, which I am very lucky for. I would say in traditional fitness Lewis Welch the owner of LA Fitness Healthclubs is the most influential in my career and I am the successful business woman I am today 100% because of what he taught me. 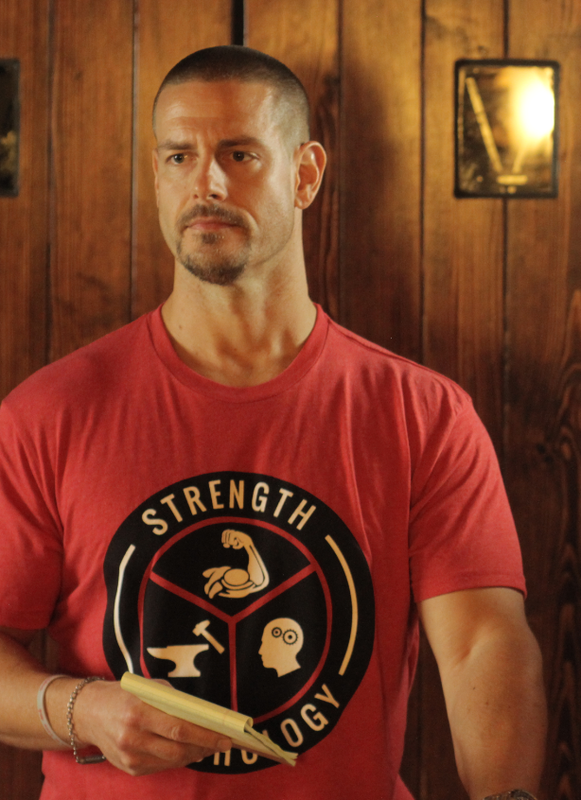 In the competitive fitness industry it is a toss up between Lorenzo Gaspar of the Ms. Fitness USA organization and Paul Dillett of the WBFF. Being a WBFF Pro has opened up so many doors for me but I could not have done that without the foundation that was built by the Ms. Fitness Organization. CRITICAL BENCH: When you look at yourself in the mirror are you your best friend or your own worst enemy? When I look at myself in the mirror I am my best friend but not for the reasons that most people would say. I look at myself with a critical and honest eye. I think real best friends are forever honest when asked for advice… and I am VERY honest with myself. CRITICAL BENCH: What do you find more difficult the diet or the training? CRITICAL BENCH: What changes would you like to see happen in the fitness industry as a whole? I would like to see the competitive fitness become more real, honest and more professional. I think the level of professionalism as a whole is at an all-time low and it saddens me. CRITICAL BENCH: What do you love most about fitness? CRITICAL BENCH: What achievement are you most proud of? I have received numerous awards throughout the years but I am most proud of any award I have received for making a difference in mainstream populations lives through my health and wellness programs, like my recent award as Fitness Woman of the Year given to me at the OC Fit Expo by Mike Glass and Bodybuilding.com…. I was honored for being one of the most influential and inspirational people in the fitness industry. The other competitive achievements would be my 5th place finish at Ms. Fitness USA in 2009 only 5 months after being diagnosed with a life threatening illness and being told I would never compete again. Oh, and winning my Pro Card in 2011 with Paul Dillett’s WBFF. CRITICAL BENCH: How would you finish this statement: The biggest myth about women who lift weights is ________________ . HA… I’m actually not going to finish this sentence…. What I know about lifting weights is that you can use them to get any body that you want. If you want to look like an athlete you can lift weights, if you want to look like a bodybuilder you can lift weights, if you want to look like a toned bikini model you can lift weights. Use them to your advantage. CRITICAL BENCH: What plans do you have for the future? I actually have no idea what the future has in store for me competitively. I keep playing with the idea of retiring but I don’t really feel like I have achieved my potential yet. So I am constantly reassessing that aspect of my future… Professionally my goal is touch as many people as I can and teach them how to actually live a healthy lifestyle. That is why I am developing my Sharon’s “Unleashed” Nutrition and Wellness program which should be available January of 2014. CRITICAL BENCH: Tell our readers what your workout schedule consists off. My workout schedule is crazy and not like anybody elses…. My goal is to lift weights 3 days per week. I only life specific body parts that are lacking, trying to get them to catch up with the rest. The rest of my week is spent doing athletic training and plyometric training so I am conditioned. I also get in 4 yoga classes per week, which are great total body strengthening yoga classes. A fitness event during the year that I look forward to is… WBFF Montreal Pro/Am – Best Comeptitive Experience I have ever had. The best thing ever told to me was… “I have legs like a racehorse” Thank you Ashleigh Frost. The last time I cried was… Daily at any ad which involves animals. One thing that I love about myself is that… I am the most loyal person on the planet. Love is… the life blood that keeps us happy until the day we die. I believe that… I can achieve anything I put my heart into. CRITICAL BENCH: In closing who would you like to thank? I would like to thank my mom and dad for making the woman I am today. Below is the transcription of the Skype interview I did with Nick Wright. Enjoy! AA: What’s going on, Team Critical Bench Nation? It’s Anthony Alayon here. Today we have a very special guest, Nick Wright. And for those of you who don’t know, he’s definitely got a great YouTube channel. We hand-selected him as being one of the top channels, got a growing fan page and he’s also got a clothing line. So I’m going to go ahead and introduce him right now. Nick, how you doing? NW: Thanks, Anthony. I’m great. What’s going on Critical Bench Nation? Awesome to be here. AA: We’re happy to have you. So basically, Nick, why don’t you just go ahead and tell our readers and viewers a little bit more about yourself, how you got started and things like that. What got you to this point? NW: Well, when I began lifting, officially lifting, freshman year of high school, I was 14 years old. I weighed 104 pounds at the end of the day. I had 11.5 inch arms. I was petite. I was tiny. The funny thing is, I don’t even know if I was aware of just how tiny I was. I kind of had little dog syndrome. I thought I was bigger than I really was, which now I’m grateful for, because it’s what actually drove me to continue pursuing weight lifting even after everybody laughed. So one day, eventually, actually it was January 16th, 2006, I was watching a true life episode of a bodybuilder training and taking down his measurements. And I decided right then that I wanted also to do the same. So I took all my measurements down and then I began Google searching different bodybuilders. I didn’t even know what the Mr. Olympia contest was. I had just heard of it before. I began Google searching just bodybuilders in general. I stumbled upon Ronnie Coleman, the rest was history. I just became obsessed and infatuated. I had set a goal to compete as soon as possible. My father is the one who actually talked me into waiting a little bit, because I was tiny, a long time ago. But soon after that, 15 years old, I competed in my very first competition in the teens; placed second in it. Fast forward to now, I’ve done about seven competitions, up to international levels. I’ve won regional-sized shows. I became a sponsored athlete at 18 years old. I got my first magazine cover at 19, becoming the first national teen on a cover. And have been on PBS and FOX quickly for just a couple of little documentary type blogs series, almost documentary style, but they were short. 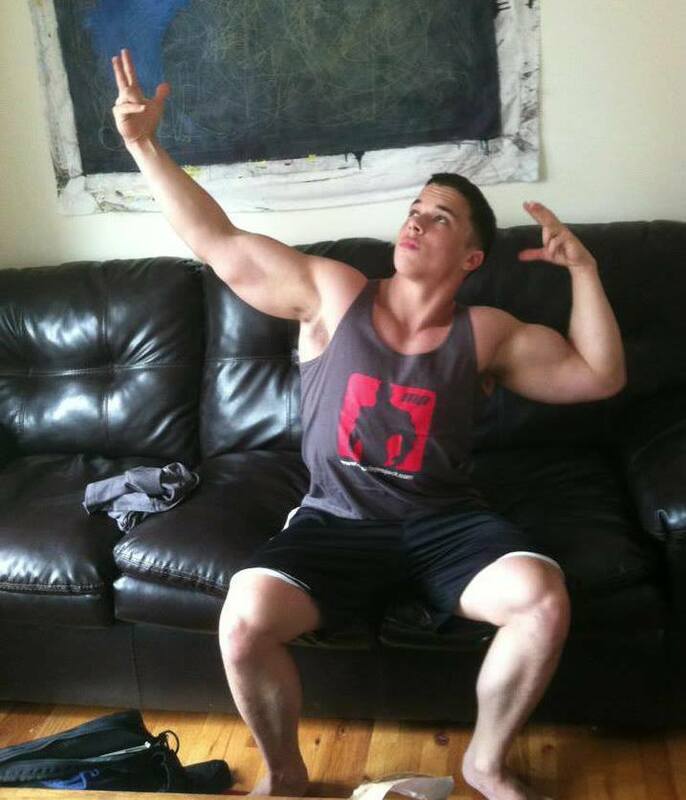 And then how I began the channel was obviously I love bodybuilding. I love lifting. I love strength and I love the actual sculpting of the physique at the same time. 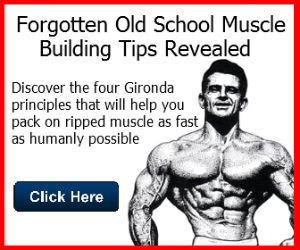 And when I began, there was absolutely nothing online for teenagers and even natural bodybuilders, for that. So I found YouTube, I found out what a YouTube partner was and I kind of became inspired to bring my knowledge, what I had learned, to the public in any way I could. Bring the people something they could relate to, at that time a teen competitor and a natural one at that. So we began bringing out the videos and breaking down exercises and I found out one thing I really liked doing was breaking down exercises verbally. I guess I do it fairly well, because people always compliment me on that aspect of my channel. Long story short, brought the videos out, brought it mainstream as much as we could, and I’m still just trying to push the whole lifestyle mainstream now. AA: Interesting. So you basically started fairly young and just kind of kept that momentum, that go-getter, alpha male personality, just taken where you’re at and that’s very impressive. Landing a magazine cover, that’s not something that – very few people can say they’ve done. You know? NW: Yeah, thank you. I was excited about it. AA: Yeah, it’s a great accomplishment. As far as that goes, you’ve talked about your channel, what they like and things of that nature. Can you tell us, what’s probably the worst workout mistake when it comes to exercising that people make and how to fix it? NW: Oh, man, I’d have to say besides all the generic mistakes of training the same body group over and over and over again, really I think the most common mistake is simply not knowing how to train, not understanding the biomechanics of a certain lift, of an exercise that you’re doing. And when you’re performing that exercise, not even realizing what muscle it’s supposed to be working or how to feel that muscle working. So you’ll see somebody trying to squat and the movement itself is barely even activating the quads, you’re not getting deep enough, you’re not – nothing about the actual movement is correct. Nothing about the actual movement is activating the muscle it’s supposed to be moving and it’s simply from lack of understanding the mechanics of the movement and understanding exactly how to feel and tie-in the muscle they’re supposed to be working and targeting. So I would say overall, the biggest mistake is simply not understanding how to properly exercise. AA: Interesting. That’s something like as far as full range of motion goes, that’s something that doesn’t get discussed too much in the world of bodybuilding. So it’s good that you’re bringing that. I’ve had a bodybuilding background as well, and the one thing they don’t really – it’s more about the pump as opposed to full range of motion. AA: That’s a great point. Keeping on the topic of exercise, what do you see people doing? Do you see people over-training when they start out? NW: Not so much over-training, in fact, I believe the term over-training is over-used, really. Under-recovery might be a better way to put that. And no they’re not the same thing. Some people may ask, isn’t that the same thing? Is under-recovery just over-training? But you can train and train and train a whole lot, and you can still make gains and recover from that. You just need to make sure you’re getting the rest in between. I don’t think I see too many people over-training so much as I don’t see them training efficiently enough, especially people that don’t know what they’re doing. They come in, they’ll hit the bench press every single day, barely even doing the bench press correctly, actually. Most people don’t even realize how intricate the simple bench press can be if you really break it down. And they’ll move right from bench press to curls and they’ll do a set of curls and then they’ll move from curls to a lat pull-down machine. These are the basic movements that they see and that are pretty self explanatory or that are just the most popular in their gym class. And that’s kind of where it ends. And they’ll do that every single day. And at that point, it’s not even do much a matter of over-training, even though it’s not good to train the same muscle every single day, it’s also just the simple matter of the fact that you’re not really training efficiently at that point. AA: Okay. Cool. The last thing I want to touch on training as far as that goes is, what do you think about mobility? Again, going back to my background, mobility isn’t something that people discuss. Is it helpful? Do you do any? Can you elaborate on that? NW: I’m so glad you actually asked that, because mobility is huge and like you said, it’s not a subject that has been really covered in past years. I feel like it’s just now beginning to see some light. 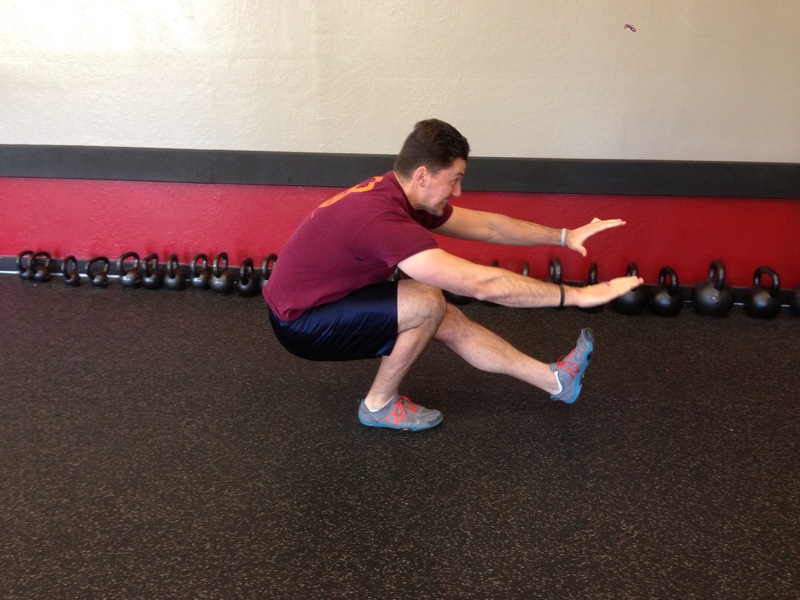 Mobility is everything. In the past we’re always taught that mobility equals flexibility and obviously that will equal you stay limber, you stay healthy, which is true. That’s true. Unfortunately, and honestly, younger kids, teenagers, even my age, at 22, we’re young enough where we can bounce-back pretty quickly. So we don’t take the whole stretching and staying limber as seriously. When we hear it from everybody, oh, stretching, you’re going to injury yourself, you’re going to tear something. We’re like, yeah, yeah, yeah. I’ll be fine. I’m fine. And that’s obviously bad myth as it is. One thing that should really be taught about mobility that I think more younger kids would actually grab onto or pay more attention to is how much of a strength increase it can bring to you. 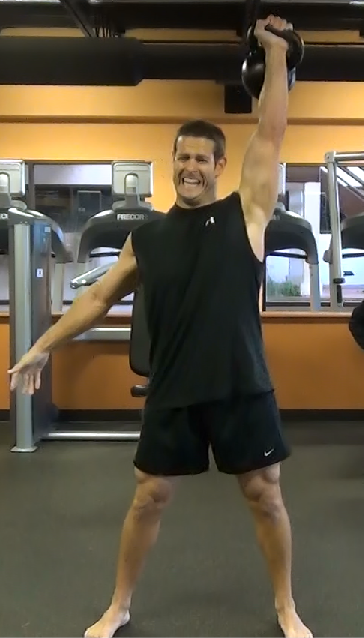 If you work on your mobility, say, shoulders for example. Really, really work on your shoulder mobility, your rotator cuff, the tendons, the muscle itself, the straps, the chest/shoulder tie-in, overall mobility of the shoulders. The more you increase that mobility and that flexibility in your shoulders, the more strength you’re going to see. And I have personally noticed that myself upon incorporating more power lifting into my routine, which I’ve been doing lately, I was able to skyrocket my bench press, which has always been my absolute weakest lift, by the way. It took me two years of training to even get 135 on the bar. NW: I started off maxing out at 65 pounds, and barely. So by simply working on my mobility, I was able to push my bench press from like 275 – I think I had gotten 315 before, at this point, but it was like only on my best day ever would I get 315, normally 275. I’d get it for a few sloppy reps and that would be it. I began working on my mobility, really, really focusing on it, and I’ll spend a good amount of time every push day now, working on mobility, loosening up my shoulders. And since then, my bench has skyrocketed. In no time flat, I’m up to pushing 345, clean, no spotter needed. And that’s without even really training for power lifting neither. And now that I’m beginning to focus on power lifting, I’m excited to see how much higher I can get it. But the number one key to my strength gains, on top of just training and eating, has been increasing my mobility and working on shoulder mobility. And that goes for any muscle group. AA: Excellent. Okay, great. We’ve talked about that. Now, what about nutrition? Bodybuilding has a lot to do with nutrition. Can you tell us what is needed? What’s the mistake people make and how should they be eating? NW: The mistake a lot of people make, I believe, is focusing on just getting protein in. Now, protein is essential. It breaks down amino acids, it’s what recovers your muscles, obviously. You need protein. And by definition, you need protein to actually survive. It’s essential. But you only need so much protein at a time. I mean, the very rough – I don’t like given this as a guideline – but the rough guideline you can find is around one gram per pound of body weight for an athlete for protein, which is not a whole lot. People kind of forget the other aspects that go in there. Fats, you need a good amount of fats. A male doesn’t want their fats to go below 20% of the diet if they can help it, because it will start affecting hormones in a negative way. Carbohydrates are essential for energy. You need to get a calorie surplus if you want to put on size. You only need so much protein, you only need so much fat, where’s the rest of those calories going to come from? It’s going to come from your carbohydrates. So you need to make sure you’re getting a well-rounded everything, macronutrients. I wouldn’t just focus on protein. I know it’s inserted in our heads at a young age, but everything: protein, fats, and then of course carbs are your fillers for the end of that. The other mistake I see people making is beginners trying to overcomplicate nutrition too much. If you’re getting into competing, obviously it’s going to become very intricate. It comes down to a fine science, that’s for sure. But if you’re just beginning, I honestly don’t recommend stressing too much. If you’re just a kid, who’s in average shape, trying to put on size and muscle, don’t stress about exactly what types you’re getting of this and that. Make sure you’re getting in your protein intake and then just focus on eating a lot, because you’re going to get your fats in easily. Everything has fats. If you can focus on getting better fats, like avocados, obviously, your omega 3s, that’s obviously a plus. When you’re just beginning, just eat a lot. Focus on eating, make sure you’re getting all your macro nutrients and that. Get your protein for sure and then just your carbs and your fats and eat a lot, get your fiber in there. You don’t need a whole lot of fiber throughout the day, so a little bit will go a long way. And you’ll be good. If you’re not putting on size, you’re not eating enough, simple as that. As you get into it more, on a more intricate level, then obviously you want to make sure you get each macronutrient down pat. You would figure out how much protein you want, how much carbs you need, how much fats you need for your body to reach your goal. And then you nail those numbers down and you base your diet around that. Even the different types of foods, different types of carbs, are over-thought of a lot. Because even something like a sugar, if you’re in a caloric maintenance or you’re in a deficit, a sugar will simply be digested and metabolized as a carbohydrate. It becomes glucose and then it’s stored ultimately as glycogen. Carbohydrates turning into a fat, in novo lipogenesis, doesn’t happen unless all your glycogen stores are maxed out. So basically you’re way overeating, that’s not going to happen. So the bottom line is, get your proteins, fats and carbs in, get the calories in if you’re starting off. Don’t over-think it. AA: Right, right. That’s actually what I preach in my newsletter, even at Critical Bench we discuss it. You’ve got to get those macros in. You’ve got to get your macronutrients in. They’re essential and they’re needed for survival, like you said. They’re essentials. That’s a great point. Sticking to the topic of nutrition, what is your current nutrition looking like? Are you bulking-up? Are you cutting? Can you tell us? NW: Definitely bulking. I’m about 192 pounds and I’m at about 5’8”. I think coming from 104 pounds, that’s a good size for me and my frame, being a naturally skinny white kid. Lately, actually the last couple of months, what I’ve been trying to do – since I’ve been stepping away from the stage, I sort of break from competing and I want to go into some power lifting a little bit more. I may or may not compete competitively, I’m not sure yet. But I’m just having some fun with my training right now. And what I’ve found is – I actually went really, really old school for a while. I always track macros. Up until then I was always tracking macros. Even if I was bulking, I’d get my caloric number set, 3,000 calories a day, whatever I was taking in, and I’d have my calories set. And I’d follow that and I’d adjust that as needed. But lately, the last couple of months, I’ve literally just been taking protein, I just preached about, the old school barbarian approach, the old C.T. Fletcher approach where you just get the calories in. Get the calories in. NW: I’ve been doing this for about six or seven, going on eight years now, seven or eight years now, where I can eyeball my food, I know what I eat. I don’t have a huge variety of what I eat and I can get a ballpark idea in my head of what I’m taking in. So I know like if I’m not taking in enough protein, I know basically what I’m eating, I’ll get in another eight ounces of chicken or something if I’m a little bit lower on protein than I should be. Or in general, I’m just kind of eat. I’m just eating, I’m not over-thinking it. I’m not even tracking anything right now. I don’t even have my Fitness Pal in my phone, in my new phone anymore. I’m just eating. I’m getting the calories in. I have a ballpark idea of what I’m getting in and I’m making sure I get my protein, my fats and my carbs are definitely up, because I’m eating. So that’s what I’m doing right now. And honestly, it’s worked amazingly. I think it was a little bit of a break mentally, because I’ve been doing this for seven years. So it was a break mentally, and man, my strength has shot up through the roof, my size is up. It feels good at 5’8” to finally be filling out XLs now, which was – I was always like smalls were big on me when I began. So little things like that, it’s been working amazingly. I’m a little bit softer right now than I’ve ever been. Some of the comments on my channel will remind me of that all the time. But that’s fine and honestly, I planned for that a little bit. I didn’t mind getting a little bit fluffy. I’m not letting it go too crazy. I’m about to tie it up right now and clean it up, chisel it up just a little bit. But yeah, I gave myself a chance to basically just go old school barbarian. Eat a lot, lift a lot and the gains are amazing. AA: Cool. As far as that goes, we’ve talked about what you’re doing. What can you tell us about supplements? I mean, that is probably the most talked about. Taking supplements, weight gainers, I mean, you’ve got nitric oxide, creatine. If you’d categorize them to the things that are essential, what would you say they are? NW: So first off, to anybody who’s just looking to get into this working out business, period, forget supplements. First things first. I want to get that, because I want that to be – that should be imprinted in everyone’s head first and foremost. Forget about supplements. And I’m talking about the kids – I’ve worked in different supplements that I’ll do for corporations. I’ve done sales online. I’ve been in every industry and I can’t tell you how many kids I see come into the store, never lifted a weight a day in their life it looks like, don’t even know what a macronutrient is. They don’t even understand how – they don’t know what a caloric surplus is. They don’t even know how to perform most exercises. They’re not on a training split, nothing. And yet, they’re coming in and asking which supplement will get me jacked. Supplements are going to do next to nothing for you. There’s very few supplements that are actually efficient. I’ll get into those in a second. Most supplements will do nothing for you, and no supplement that’s over-the-counter, that’s legal and over-the-counter, will actually help you gain muscle. No supplement will do that. So get supplements out of your head. It’s eating. Eat big, lift big. That’s what you need to get down. Once you have that in your head, you can use supplements as a way of putting icing on the cake, if you will. For example, whey protein – when I say whey protein, I mean any of those genres. Whey protein, it can be a mass gainer; it can be a casein, anything that’s a legitimate protein just in powder form. A meal in powder form, those are good because they’re a meal in powder form. So you’re trying to get calories in, you don’t have a huge appetite, it’s hard for you, you may invest in a mass builder and bam, that’s 1,000 calories by drinking a shake. That’s going to help you out. That’s perfect. You have to rush in the morning, you don’t have time to make breakfast. Two scoops of whey protein, 50 grams of protein right there. That’s a meal that you just drink really fast. So that’s perfect. Protein powders in any form are never ever a bad idea. Those are great because they are just meals in powder form. Whey is a dairy protein. That’s a real source of food. After that, the only – that’s all you would really need to rely on, I’d say, because it’s like a food. If you want to get into the more sports area supplements, creatine is about the one and only most proven supplement to work. Creatine, all you need is five grams a day. It’s a very basic monohydrate, micronized monohydrate. Don’t ever let any supplement companies gimmick you with these fancy names. Don’t worry about it, just basic monohydrate, $9 online. Take five grams a day, you don’t need to do a loading phase, you don’t need to cycle on and off it. Five grams a day, keeps your cells saturated. Creatine simply helps the muscle ATP. When you’re working out for a long time, fat is what gives you the energy. When you’re working out for a moderate time, like a weightlifting session, carbohydrates give you that energy. 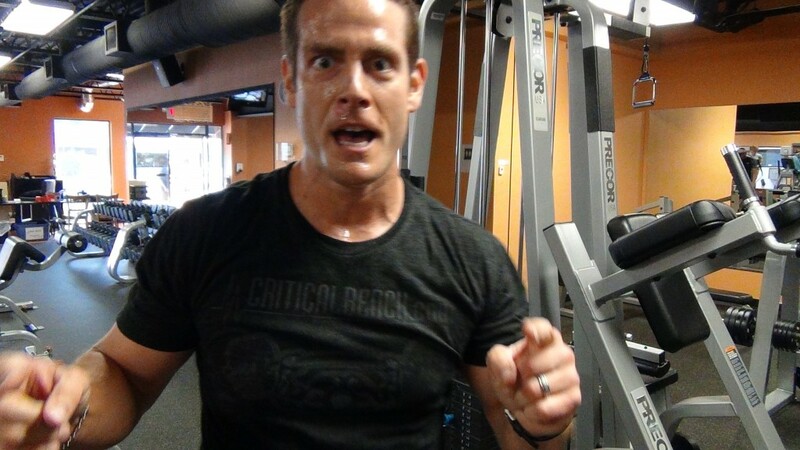 When you’re doing quick, explosive movements, that’s the creatine. You naturally produce creatine, so keeping the cell saturated, five grams a day, creatine phosphate levels are up, you’re good to go. Besides that, the only other supplement I use would be a pre-workout, which you may or may not use. If you don’t use them now, you don’t need them. Honestly, I recommend not getting into them. If you do begin using them, you probably found that you kind of rely on them, because it’s like coffee for your workout. Pre-workouts are essentially just a mix of stimulants, caffeine, they might use henbane, just a couple of safe, natural stimulants for you. 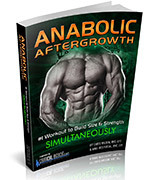 They’ll have things like beta alanine, which is a precursor and it will essentially – along with the creatine, it will essentially help to prolong fatigue. So if you have beta alanine, that’s what gives you that tingly feeling and that’s going to make it so you’re not fatigued as easily. The only other one that I’d say is worth mixing in there would be like citrulline mally [phonetic], which is a good vasodilator. That’s your NO2, your nitric oxide, expands the blood vessels, gets more blood flow to your muscles. More blood flow means more oxygen. You get more stamina, basically, more of a pump. NW: So that would be it. All your whey protein powders, in any form, mass gainers, et cetera. Creatine, five grams a day, real simple and cheap, and then if you want to do a pre-workout, just consistent with the basics. Your stimulus to energy, your beta alanine, your citrulline mally [phonetic], et cetera. AA: Absolutely. That’s a great point. There are so many supplements, the latest and greatest. You pick up a magazine and it sounds promising, but you know it’s not really needed. Get the foundation first before you even think about that stuff. NW: Right. So sum it up, based on that, I’d categorize it like this: if it’s not giving you food or if it’s not giving you energy for something, for a workout, that rapid energy for a workout, don’t take it. Don’t even bother with it. Thermogenics, you may see. They’re the pills you take, will give you some energy and they burn fat. If you want to take those for the sake of energy and curbing your appetite, some of them are all right for that. But they’re certainly not going to burn the fat off of you. Don’t fall into that, either. AA: Great. 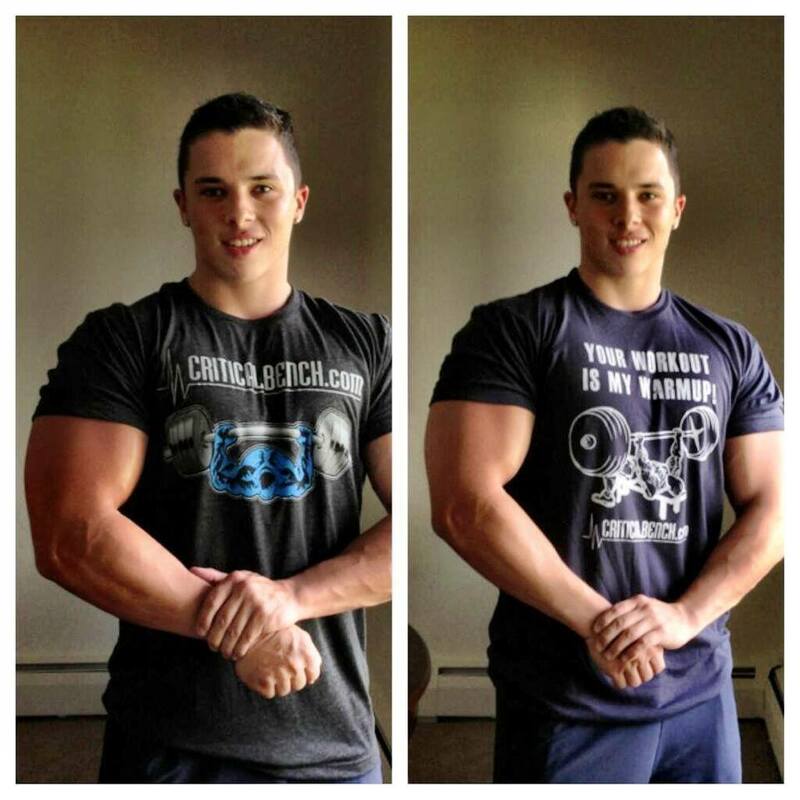 I guess one of the last questions I want to ask you is, if someone wanted to follow in your footsteps, just like you were a teen, someone that’s a teen now or just anyone out there in general that wants to get started in bodybuilding, competing. What’s one piece of advice you’d give them, like a mindset a motivation, how you stay motivated and how they could use that tip right today to help them? NW: Quite simply, you have to want it. You have to want it. And if you’re not in that mind state, then you better figure out ways to make yourself want it. And it may not be the most favorite answer you’re going to hear, but it’s the most honest answer. Honestly, like I said in the beginning of this interview, when I was 104 pounds, I didn’t believe I was. I thought I looked better than I really was. I had this driven, total vision, almost narcissistic mind state that I was better than I was. Now days, it’s opposite. Now that I’ve actually gained some size and strength, I’m like, I don’t think I look that good. But back then, when I started, I thought I was way ahead and I simply wanted it. I Googled those bodybuilders, I realized what I wanted to do and I was dead-set on competing. And I tell you, at one point, I was always one of those kids that fit-in socially at my school. I was friends with everybody, but at the same time, there was one point where I was literally almost bullied in school. I couldn’t even go to a party and say one comment without somebody turning it into the joke, making fun of me for bodybuilding in some way. I remember saying one time at a party, “Oh, I was up late last night.” Somebody cut me off, “What were you doing, finger curls?” Everybody started laughing. It was like that. It was crazy. Fast forward, now, I have those same kids going onto my fan page and actually asking me questions pertaining to working out. So I pursued it, kept the friends I needed to keep and I couldn’t be happier right now. I’m doing my thing, literally just because I wanted it. So don’t focus on other people at all. You need to completely tune other people out. People will only ever give you their opinions and most of the time it’s going to be knocking it you down. It will be saying you’re not cut-out for it; you’re not good enough for it; you look like crap. You shouldn’t do it, it’s not practical. The list goes on and on and on. Don’t listen to people. Also, don’t listen to other people even when they’re trying to give you positive advice. You should bulk for this long and then jump on this show. Or, you shouldn’t do a show. Yeah, you should wait here. No, forget that. Get into your own head and stay there. Do what you want to do. If you want to train, train. If you want to body build, body build, and if you want to do a show, do a show whenever the heck you want to do a show. And you’re going to have the most fun that way. And you’ll find through having fun you’ll end up finding your success in bodybuilding. Best advice. AA: Cool. Absolutely. That was great, Nick. We’re going to be having a link to your YouTube channel, your Facebook. You want to tell them real quick how they can get there? NW: Definitely. YouTube is youtube.com/nickwright. It’s really easy. And another way to find me, guys, I have videos breaking down every exercise. And one of the guys said, I like – I don’t just tell you how to do an exercise, I like breaking down the actual little details into it and giving you ways to remember it. For example, like dumbbell rows. I tell you to row the dumbbell up to your belt buckle, like you’re starting a chainsaw, not up into your chest. If you’re rowing, try to elbow somebody who’s hugging your waist off. Little tips like that. It all makes sense when you see the video, I promise you. I show you to break it ways you’ll understand and get it stuck in your head, really, really learn it. So if you ever have a question about a certain exercise, instead of looking through my entire channel, just simply YouTube search Nick Wright dumbbell rows, or Nick Wright squats. Nick Wright with whatever keyword you’re interested in learning about, and I guarantee you’ll find it on YouTube. My Facebook page is the page to be on. That’s where I’m at. Very interactive. 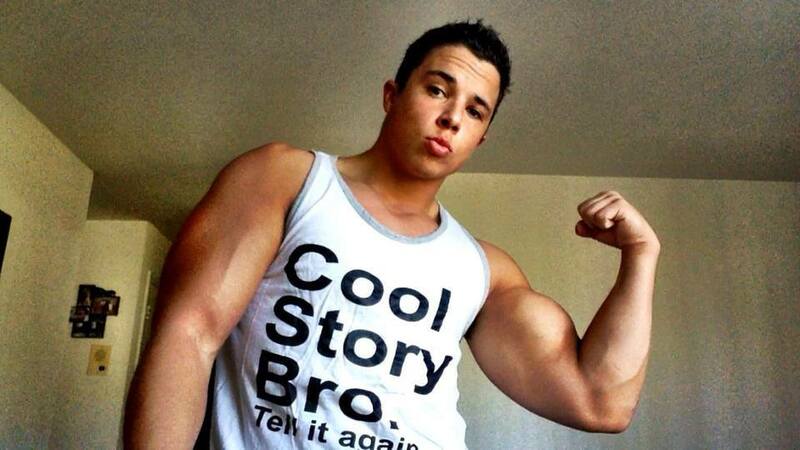 It’s simply NickWrightBodybuilding on Facebook. AA: All right, perfect. Well, we’re going to have links right above this on the site. And Nick, I wanted to thank you. We here at Critical Bench really appreciate it. It was very informative and I’m sure our readers and yours are going to find this informative. So thank you so much for being on this, Nick. NW: Thanks, Anthony. I appreciate it. And one more thing is, the new website is created and it will be up soon. It’s NWBLifestyle.com. So check that out, see what that’s all about. AA: Excellent. Yeah, check it out. He’s also got a clothing line, so guys, you want to – fan of Nicks, make sure and grab one of his shirts. He’s got a lot of great, great t-shirts out there and clothing. So check that out as well, everyone. NW: Thanks, Anthony. Thanks, Critical Bench. Appreciate it. AA: All right, have a good one. The key or should I say “keys” to a ripped 6 pack that impresses the onlookers at the beach are NOT what you think. It’s not the 100 sit ups every day that get you there nor is it the sets of 50 crunches. I’m fairly confident that by now most of us are comfortable with saying NO to crunches and YES to my 3 rules for creating the strong, striated and hard-looking abs you ‘ve always wanted. First, abdominal workouts shouldn’t take more than 10 minutes 2-3 times per week MAX! Most people out there are killing themselves with sets, reps and far too much time and sadly NEVER getting results. Second, implement NEW movements often and follow a “Progression” to build up your entire core. With most things in life, our performance improves over time and what was once challenging becomes too easy. Follow an intelligent progression and watch your ability soar! Lastly, focus on time under tension AND fully engaging everything including your quads, glutes, back and abs to create what I like to call, The Pyramid of Strength. Firing all of these muscles together takes your calorie burning potential and muscular building potential off the charts. I like to think of our abdominal muscles as a symphony orchestra…sounds crazy, I know. But imagine listening to an entire group playing together and how full the sound can be versus just a few horns and string instruments. The network of muscles in our core DEMAND to be “played” together to reach levels not attained from isolation exercises. We Guarantee YOUR ABS are NOT Doing This Amazing Exercise! We hoped you enjoyed this article with video based tutorials. make sure to apply these tactics to your abdominal training right away. It is very important to follow these exact techniques to prevent any damage to your back. 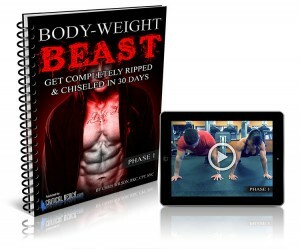 To get a ripped mid section in just 4 weeks, check out “4 Weeks to Crunchless Abs” today.